If you have received a Christmas gift that you don’t like, it doesn’t fit you or you’re hoping to return something you have bought before Christmas you can find out last return dates for Christmas 2018 with this guide. Any orders placed from November 1st to the 24th December can be returned up until the 31st January 2019. Orders placed from the 1st of October to the 24th of December can be returned up to the 31st of January 2019. For an order that has been placed from the 4th of December to 24th can be returned until the 31st of January 2019. Orders that are dispatched between 1st of December to the 31st of December can be returned up to the 31st of January 2019. The White Company’s return policy has been extended to January 31st 2019. Please be aware that gifts that have been bought for you from The White Company can only be exchanged or refunded onto a gift card, not a debit or credit card unless you have the original card it was purchased on. When you return a gift the original buyer will be notified via email. Items ordered between November 13th to December 14th can be returned via Royal Mail/Courier until the 11th of January but in-store returns are only available until January 2nd. Orders after the 14th of December have the normal 28 day returns policy. Anything bought between October 31st and Christmas eve can be returned until January 31st. The normal 35-day return and exchange policy applies for most Christmas returns. If you have no receipt or order confirmation you will be able to get a gift voucher for the current sale price of the item. 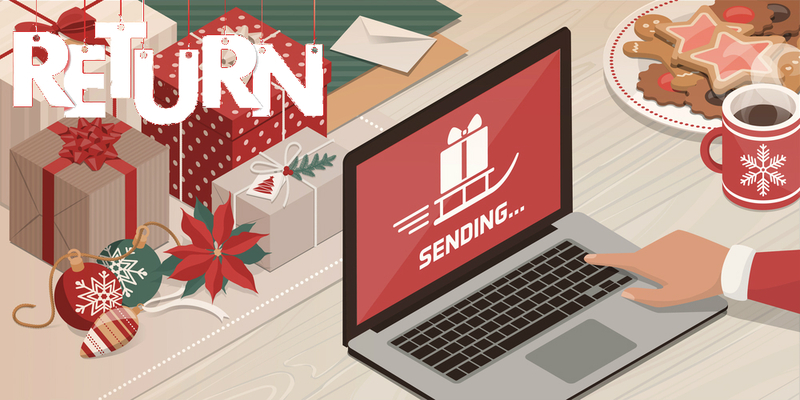 Gifts that have been purchased from the 20th of October to the 24th of December can be returned up until the 28th of January if they were unwanted or unsuitable for the person you were buying them for.